On September 29th, “He Named Me Malala” was screened for 7,000 high school girls from around Los Angeles County at the Microsoft Theater at L.A. Live. The goal of the event was to bring awareness about challenges facing girls around the world and in turn empower, to empower us to be leaders within our own communities. 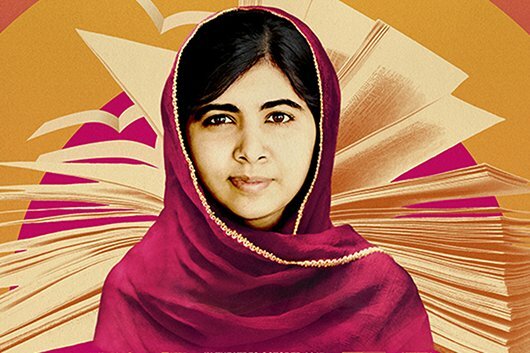 Academy Award winner Davis Guggenheim’s documentary “He Named Me Malala” tells the story of Nobel Peace Prize recipient Malala Yousafzai, a young advocate for girls’ education who survived an assassination attempt by the Taliban. Since her remarkable recovery, Yousafzai has spoken out on issues that are prevalent in both Pakistan and the international community, making her a beacon of hope for young women across the globe who lack the funds and resources to pursue an education. Throughout the documentary, it is clear that Yousafzai encompasses a sense of self-confidence and expression that shapes her into the icon we have all come to admire. After recovering from a near-fatal gunshot to the head, she appeared before thousands and proclaimed, “Weakness, fear, and hopelessness died. Strength, power, and hope were born.” I was left speechless by her determination to fight for her values and beliefs in the face of adversity. By the end of the screening, I found myself cheering alongside 7,000 girls, inspired to follow in Yousafzai’s footsteps. “This documentary will influence others to join the fight in making sure that girls all over the world don’t have to worry about getting to school every day or getting an education in general,” said Lewa Pinkney, a senior attending Alexander Hamilton High School. Pinkney, along with high school seniors Nicole Mendoza and Chloe Vaught, spoke on behalf of Girls Learn International, an organization that empowers students to join in the global movement for universal girls’ education. Nearly 7,000 girls from attended the screening as part of Girls Build L.A.’s widespread initiative aimed towards inspiring young girls to find value in education. This documentary is a reminder that we as young women are capable of achieving universal education and that with our education we will come closer to living our dreams. I highly recommend that you watch “He Named Me Malala,” playing in theaters everywhere.